Lance Walker is the Global Director of Michael Johnson Performance, and is a former NFL, NCAA, and High School S&C coach. 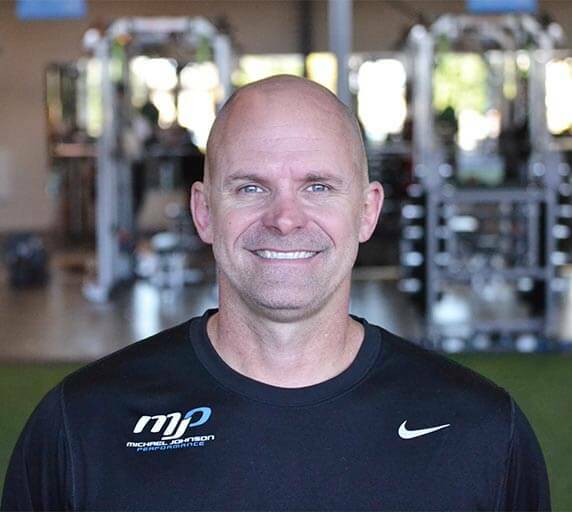 Lance has been in the physical preparation world for over 25 years, and his career spans over 30 professional, elite, collegiate, and high school sports. His client roster is pretty darn elite as well, with First Round NFL/NBA/CHL/MLB draft choices, Olympic Gold medalists, World Champions, World Record Holders, Champions League Stars, and Hall of Famers. So yeah, needless to say, Lance knows a thing or two about training! In this show, Lance and I talk about how being a broken college football player led him to the world of physical preparation, his (perhaps) controversial thoughts on deceleration training, and a chocolate cake analogy you’ll want to use with all of your clients and athletes. This was a really entertaining show, and I think you’re going to love it. Let’s do this! His current role as the Global Director of Michael Johnson Performance. Lance’s thoughts on acceleration training, and what he focuses on to improve acceleration. Strength training for speed: How big of a role should it play? The role of general athleticism and basic training with our young athletes. Lance’s thoughts on merging the worlds of physical therapy, physical preparation, and sports science. A fun lightning round where we talk career highlights, books he loves, his favorite athlete story, and what’s next for Lance Walker.